I am going to publish to social media more. (I reinstalled Hoots Suite on my Phone) I AM HAPPY TO REPORT THAT I HAVE BEEN POSTING AN IMAGE A DAY TO MY SOCIAL MEDIA OUTLETS. I am going to complete an online class that is being taught by one of my hero’s Joel Meyerowitz. At publication of this blog, I am a third of the way through the class and I have been learning a lot. I COMPLETED THIS. I REALLY LEARNED A LOT FROM THE COURSE! I am going to look into taking more classes I HAVE SIGNED UP FOR A STREET PHOTOGRAPHY COURSE WITH THE GRIFFIN. IT STARTS AT THE END OF APRIL AND I CANNOT WAIT. I just love to go into Salem around Halloween. I would have to admit that I might have a Self-Defeating Personality Disorder, but where else can you people being themselves and at the same time having a good time. I was able to go into Boston again to take some pictures. I am glad that I am able to share with the people my vision of the world. I am still amazed that I get little or now attention when I am out and about taking pictures. In fact there were only 2 times I was asked to delete the image by people on the street. 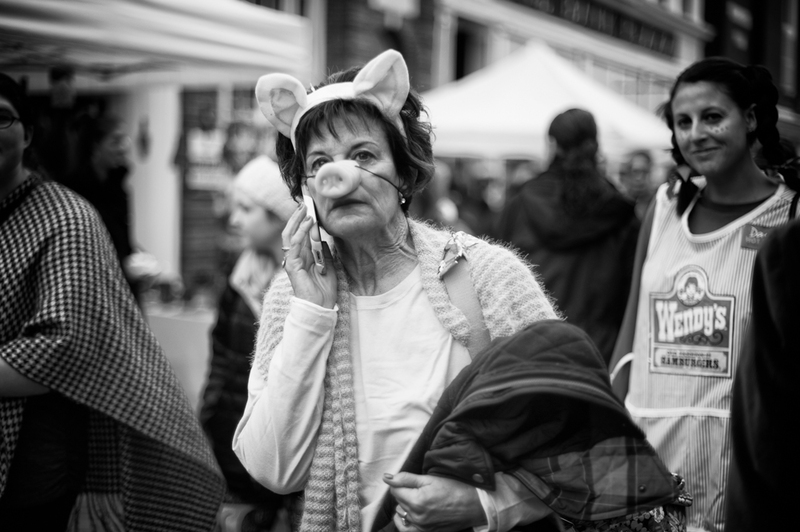 Every year all the crazy people come to Salem to explore the sights and sounds. It is an experience that cannot be missed. I wish I could have experienced that actual holiday but I was able to capture some pretty decent shots on 10/30. Hopefully next year I will be able to go for the entire day.